Two of the UK’s premier string arrangers: cellist Harry Robinson (Runone), and violinist Kate Robinson, have joined forces with seasoned beat maker and producer Simon Tew to bring you this sample/loop pack, ”Pop Strings: UK”. Focusing on highly intimate, romantic string arrangements, the team has written with compatibility and cross usage in mind. This amazing collection contains an array of detailed recordings arranged into packs where every element plays off the other. In the UK styles of Adele and Sam Smith, these gorgeous lush arrangements are designed to inspire the listener. Features interesting and bespoke hip hop beats plus synth and keys providing a plethora of soundscapes at your fingertips. Includes solo and ensemble strings, bass lines, piano, keyboards, Hip hop beats and synth parts. 6Gb of wavs @24bit/48k. Harry "Runone" Robinson is an extremely talented beats maker, producer, writer and multi-instrumentalist (including piano and cello). His roots lie mainly in hip-hop, where he has been making all types of beats ranging from 90's boom bap to trap. For the last three years, Runone has been heavily involved working with the multi- Grammy and BRIT Award winning Sam Smith, writing string arrangements and playing on his multi-million selling #1 album 'In The Lonely Hour', which is certified 7x Platinum in the UK and 2x Platinum in the U.S.
Runone is part of RnR Strings, a brother and sister powerhouse duo of string composing, arranging and performing for a range of artists such as Sam Smith, Pete Tong, Rag 'n' Bone Man, Stevie Wonder, Ed Sheeran and Bjork. They show a compositional versatility for many musical genres ranging from pop and classical to bluegrass and hip hop. Harry (Runone) is a producer and multi-instrumentalist. He is a part of Sam Smith's live band and his leading cellist. He wrote and performed the strings for the acoustic version of 'Latch' from Sam Smith's album 'In The Lonely hour'. He also wrote and recorded the strings for Rag 'n' Bone Man. Harry has shared the stage with Ed Sheeran, Mary J Blige, Jessie Ware, A$AP Rocky and Nile Rodgers. Runone has also produced tracks for some of the top pioneers in the UK hip-hop and grime scenes including Fliptrix, Verb T and Jam Baxter (High Focus). Other collaborations include Ragga Twins, Seanie T and Vula Malinga (who featured on the Basement Jaxx hit 'Oh My Gosh'). Kate's lively interest in a wide variety of music genres has influenced her work and she has spent 8 years performing with the alt bluegrass band The Wagon Tales with whom she recorded their debut album 'Introducing..'. Also, she writes and arranges in collaboration with her brother Harry Robinson (Runone). They have written and recorded strings for various artists including Sam Smith who performed to their string arrangement of 'My Funny Valentine' at The Golden Globes. Her Graduate studies took her through the Royal College of Music where she gained a first class honours degree. She studied there with Rodney Friend and later with Riggiero Ricci and Herman Krebbers. Any platform that reads wav files. Mac/PC compatible. 6Gb of wavs @24bit/48k loops of cello, violin, violas, basses, pianos, keyboards, and hip hop beats. Single hits of drums & percussion included. Anyone thats watched my YouTube channel for a while might know that I love to use orchestral sample libraries in electronic mixes. It creates a much more interesting sound than just some pad sound in Serum. So when I heard that someone had released an orchestral sample/loop pack with a focus on integrations with pop and hip-hop, I was interested! 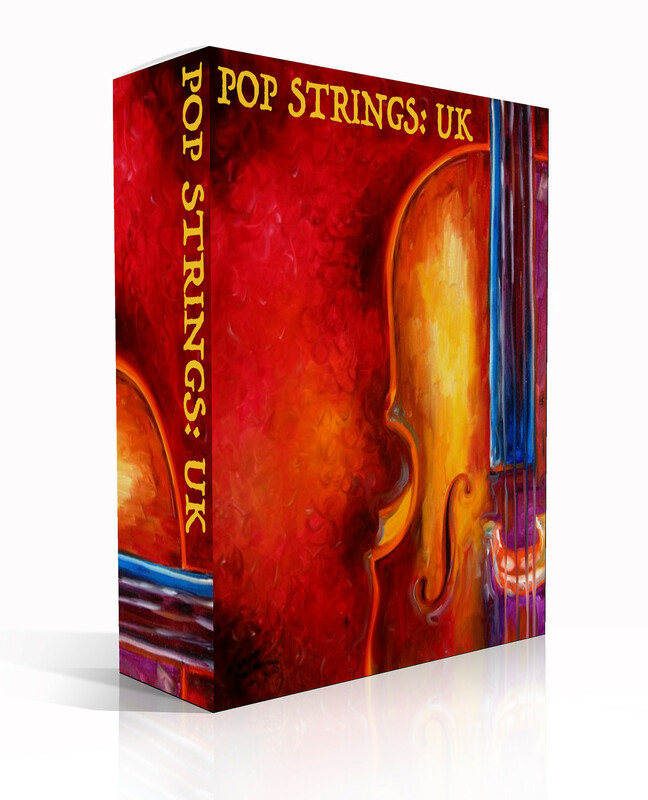 Pop Strings: UK is a collection of 6GB of loops and one-shots featuring solo strings, ensemble strings, bass lines, piano, keyboards, hip-hop beats, and synth parts. Regular $99, but on sale for $49 at the time of writing this blog post - available now here. Basically a sample / loop pack is a collection of one-shots and loops you can use in your music royalty-free. The loops provide you with incredibly realistic sounding parts because they were actually performed by musicians real-time, as opposed to you trying to program these parts using a Kontakt library (at least in the case of the string and piano arrangment). Another perk of loops is that they offer great starting points for songs, and give you parts you may never otherwise compose yourself. You may be a pro at writing parts for guitar, or synthesizers, but the world of orchestral composition is very different and you likely won't get as great of a result as people who do this for a living. You can tell that this pack was made by professionals who know exactly what they're doing. Each song and all the sample files are labelled with their key and tempo information, as well as a description of the instruments in each file. Each song is broken up into sections, which is what the loops are exported as. This makes it quite easy to listen to the master export track, decide what section and instruments you want, and then go find the file to drag into your DAW to use in your music. In total there are about 900 files - this number is taken from the folder properties on my computer, not from Q Up Arts' own description, so this number is an estimate. The drums are broken up into full exports, and stripped / top versions. This allows you to use part of the drum section, but use the one-shots to construct the rest yourself. Some sections have intro versions and tail versions in addition to the loops, which allows you to obtain both seamless looping and have realistic beginnings and endings. Here is a video I made showing whats inside Pop Strings: UK, and I use some of the drums in a track i'm working on. Hopefully this explains my thought process for using samples in my music. The answer to this question is very personal as it depends on your applications and needs. Perhaps you just some high quality songs to use in your video productions - this is a very affordable way to get royalty-free music to use. If you love the vibe of the pack and want to add high quality string or piano performances to your next song, it might be for you. If you use loops like this as the basis of your compositions on the regular, and write music around the loops, then you'll probably see the value that a pack like this can provide. So if you fit in one of those categories I think you should consider buying Pop Strings: UK. As with many premium products, it has its own niche category. The sounds themselves are incredible, the melodies are catchy, and the drums are groovy - you'll definitely be getting a high quality pack that you'll find many uses for if you use loops in your products. In terms of quality alone its a 5/5 score, but I think the true definition of a 5/5 score is something that is a 'must-buy'. For this reason i'm going to deduct a star.